Skye Beach Club on Nai Yang beach is half way between a rooftop bar and a beach bar. A bit of both and none at the same time. Since most Phuket Beach Clubs have been wiped out from all beaches on the island, it ‘s good to be able to find a place where you still can have a drink under an umbrella while enjoying the sunset over the ocean. Skye Beach Club is actually above a little shop across the street from the beach itself, so it’s not literally a beach bar. The sitting is very cool, the music and DJ fit the tropical atmosphere very well and they have frequent parties at night. Sky Beach Club is also a restaurant serving Thai and International food prepared by a chef original from the Bangkok dining scene. 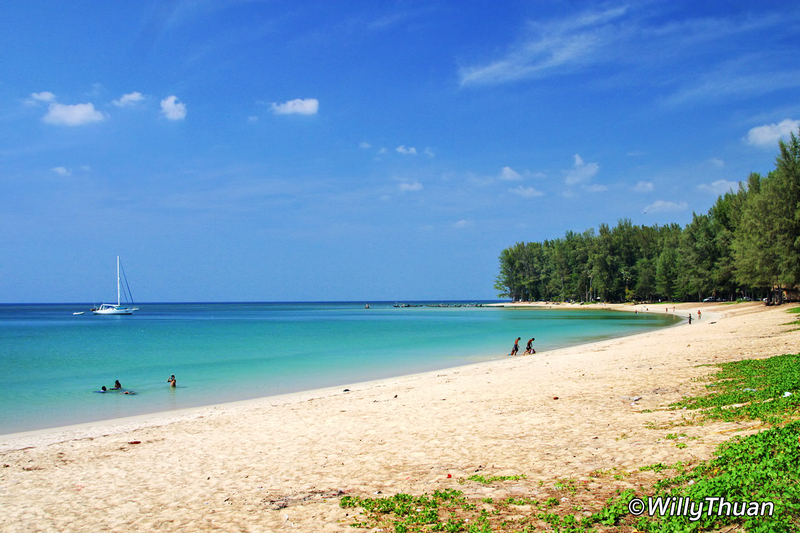 Nai Yang beach is little known from most travellers but is actually one of the few beaches of Phuket that hasn’t really changed in the past 20 years. It’s quiet, beautiful and home to The Slate and the new and superb Phuket Marriott Nai Yang.